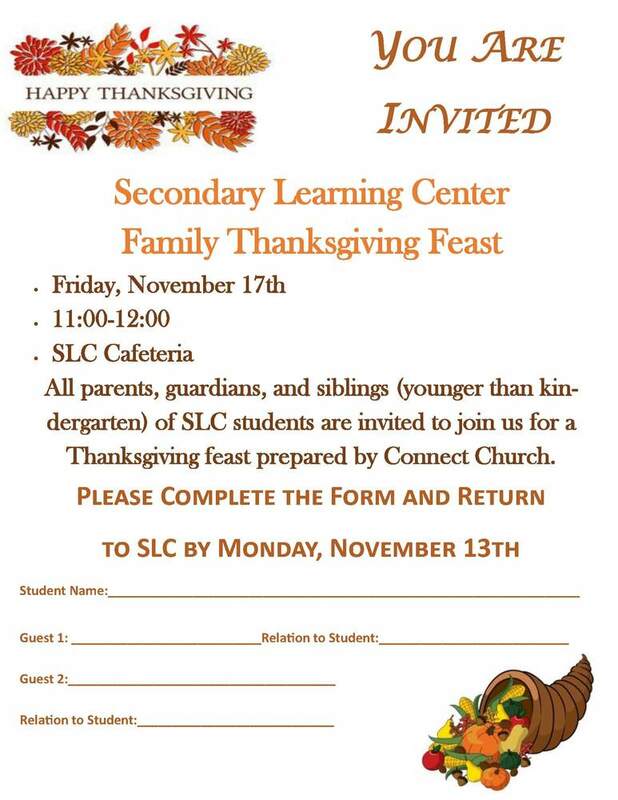 This is a reminder about the SLC Family Thanksgiving Lunch that will be held on Friday, November 17th from 11:00 to 12:00. We are inviting parents, guardians, and siblings younger than kindergarten to join us. Connect Church is preparing the meal and there is no cost associated with it for our guests. Please complete the attached RSVP section on the invitation and return it to SLC by Monday November 13th. Your student should have a hard copy of the invitation. You can also print the one attached to this. We look forward to seeing you all next Friday.